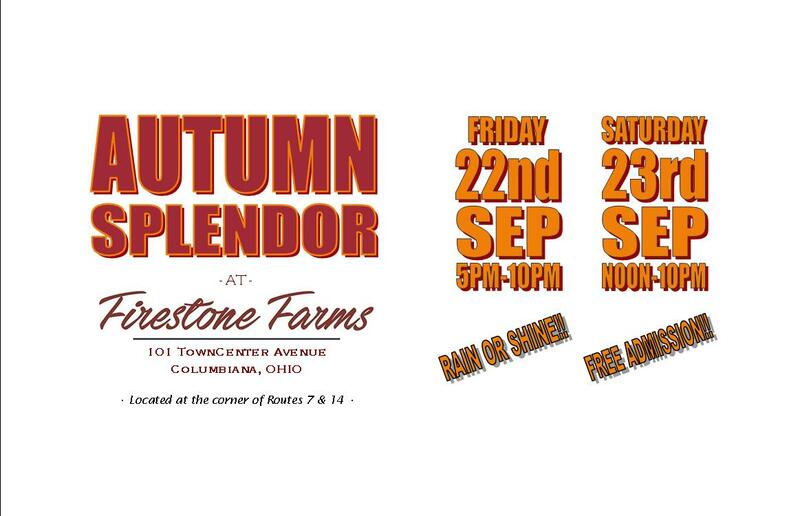 Autumn Splendor at Firestone Farms will be held Friday, September 22nd from 5-10pm; and Saturday, September 23rd from noon to 10pm. Autumn Splendor is a fun, family-friendly outing, where visitors can shop many retailers, including current Firestone Farms shops. This event will feature FREE live music, with Rudy and the Professionals performing Friday from 6-9pm, and The Gage Brothers on Saturday from 7-9pm. We will also have beer and wine sales, and several food trucks! Diletto Winery will be hosting a Sip n’ Paint on Saturday from 1-3:30pm…more info and sign up here. Firestone Farms is excited to announce Summerfest 2017, to be held Friday, June 23rd from 5 pm to 10 pm; and Saturday, June 24th from noon to 10 pm. Summerfest is a fun, family-friendly outing, where visitors can shop many retailers, including current Firestone Farms shops, and enjoy live music. This event will showcase our progress and some of its beautiful features, including the Courtyard games and water fountain. We will have a bounce house for the kids, and other kid-friendly activities, weather permitting of course! Town Center at Firestone Farms is inspired by the legacy of Harvey S. Firestone, who proudly called Columbiana his home. In honoring that heritage and revolutionary spirit, the Firestone Farms community is transforming Firestone’s original homestead into the premiere development property in the tri-county area. This home is ready for your finishing touch! Over 3100 sf, 4 Bedroom, 4 Bathroom, Open Great Room with Cathedral Ceiling and Gas Fireplace, and much more! Stunning setting with golf course and natural views. Located near Firestone Farms Town Center shopping! Firestone Farms is excited to hold Winterfest 2016, happening November 19th and 20th, from 11:00 AM to 5:00 PM. Winterfest is a fun, family-centered outing, where visitors can enjoy planned activities and shop from over 30 retailers, including offerings from upcoming Firestone Farms tenants. This will be the first public event held at the Firestone Farms complex, in an effort to give customers a sneak peek at Town Center’s progress and to showcase some of its beautiful features. 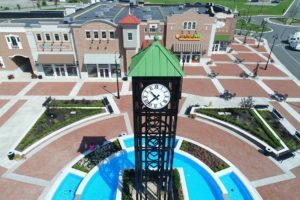 Town Center at Firestone Farms is a 1930’s-themed dining and shopping destination, offering a wide array of businesses, retailers and restaurants. As well, Town Center will plan to host outdoor concerts, seasonal events and festivals like Winterfest in the near future. 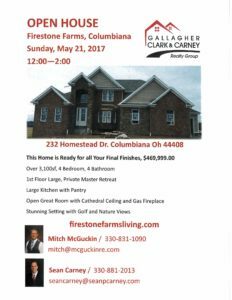 Town Center at Firestone Farms is inspired by the legacy of Harvey S. Firestone, who proudly called Columbiana, and this property in particular, his home. In honoring that heritage and revolutionary spirit, the Firestone Farms community will transform Firestone’s original homestead into the premier development property in the tri-county area. Firestone Farms is located less then 10 miles from the Boardman/Poland/Canfield areas, and is within 60 miles of both Pittsburgh and Cleveland. The property is situated in the heart of Columbiana County, which is one of the fastest growing counties in eastern Ohio, and numerous businesses will be opening onsite over the course of the next few months.